One of the most unique places in the area is the French Basque coast. It´s a relaxing place located just minutes from San Sebastián, well deserving of a visit. 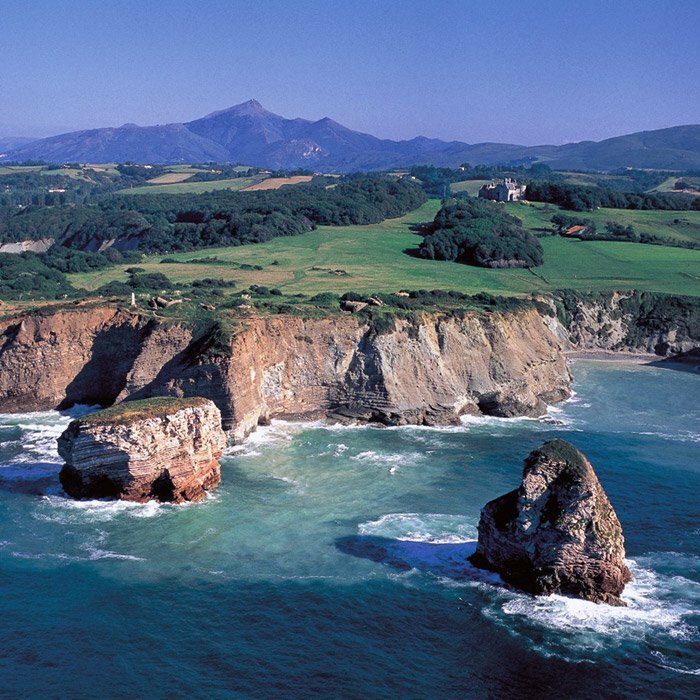 From the blue coasts of Corniche Natural Park in Hendaya to the luxurious town of Biarritz, the French Basque Country is a visual feast. In Biarritz, a small whaling village in southern France, mineral bath therapy experienced a revival the 19th century. Soon after, the European aristocracy started coming to Biarritz to enjoy its hot springs and luxurious palaces. Biarritz quickly became a popular summer vacation spot for all of Europe, and the city was transformed from a fishing village to a luxury resort town. The most emblematic building is the Hotel du Palais, former residence of Eugenia de Montijo, wife of Napoleon III. In Biarritz you can enjoy a beautiful walk along the beach and old harbor. Visiting the town of Guetary is a must. 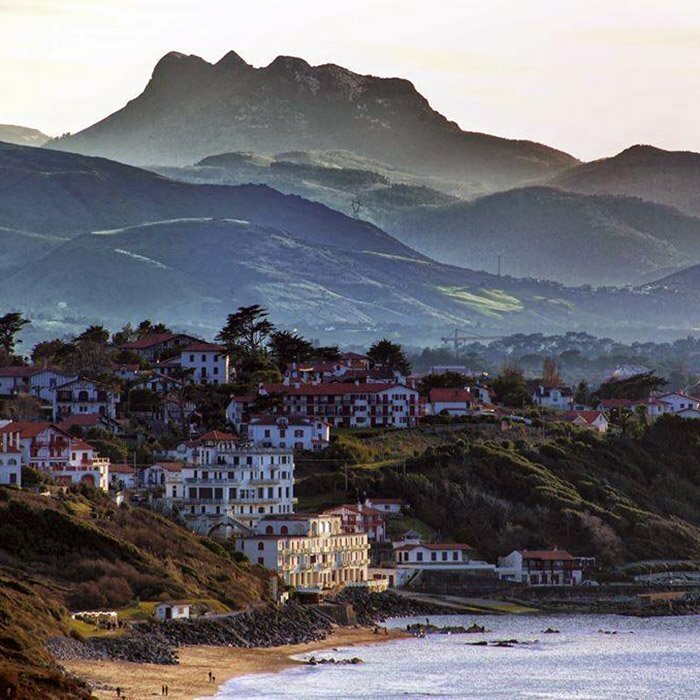 It’s a typical southern French fishing village which conserves the essence of the idyllic Basque coast. Have a refreshing drink on one of its many seaside terraces. The town of St Jean de Luz is located in a beautiful bay. 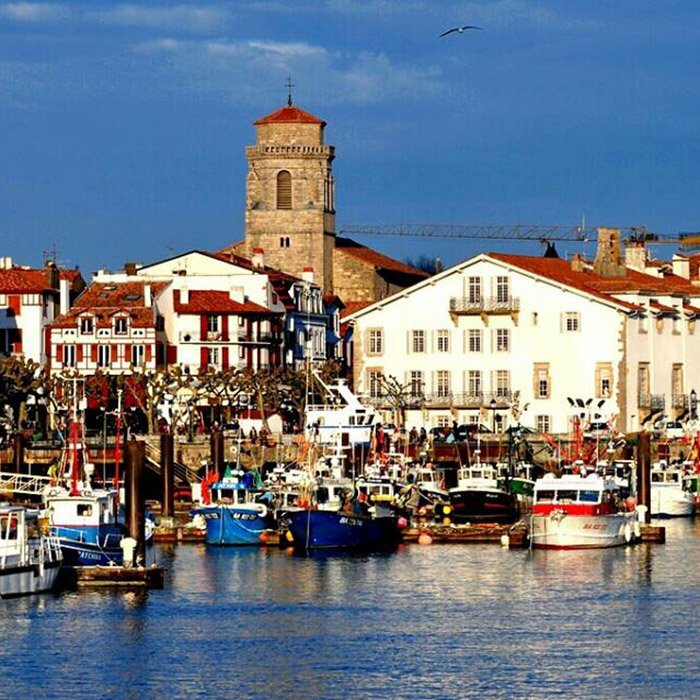 It´s a town full of history due to the importance of its harbor in the middle ages. From the castle of Sokoa, you can appreciate the beauty of the town and its surroundings. This special natural park is found at the very north of the beach in Hendaia. It´s an especially long, beautiful stretch of coast, conserved as if frozen in time. Among the red cliffs and pastures filled with grazing sheep rises the figure of Chateau Abbadia. The area of the French Basque Country is a region located about 20 Km from San Sebastian, its full of small towns right on the coastline. The natural environment is charming with lovely long beaches contrasting the elevated green lanscape. Once there we will visit towns such as Biarritz, Guethary, St. Jean de Luz, Hendaye and the Corniche natural park. This is a private tour that we can adapt to the preferences and needs of our clients. Please contact us to plan your perfect tour! The tour start and finish in your hotel.